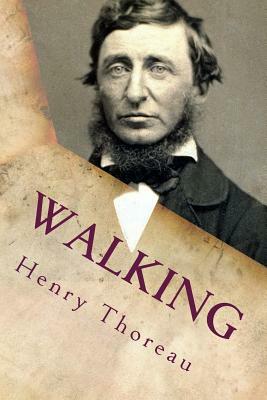 "Walking" is an essay written by Henry David Thoreau, . Between 1851 and 1860 Thoreau read the piece a total of ten times, more than any other of his lectures. He considered it one of his seminal works, so much so, that he once wrote of the lecture, "I regard this as a sort of introduction to all that I may write hereafter." Thoreau constantly reworked and revised the piece throughout the 1850s, calling the essay "Walking." A meandering ode to the simple act and accomplished art of taking a walk. Profound and humorous, companionable and curmudgeonly. Walking, by America's first nature writer, is your personal and portable guide to the activity that, like no other, awakens the senses and soul to the 'absolute freedom and wildness' of nature. Henry David Thoreau (1817-1862) was an essayist, poet, philosopher, and anti-slavery activist. Among his other notable books are A Week on the Concord and Merrimack Rivers and Civil Disobedience.